I used Topaz Adjust and Lightroom 6 to make this image look like a drawing. Very nice monotone conversion and excellent use of Topaz to create the sketch. I like how the image becomes more defined as you approach the center, where the primary subject (the eggs) are positioned. Very creative work — lovely image! I like this very much-the textures are so pleasing as is the way you have made the faded edges- it really looks like a hand-drawn sketch. The monotone helps with definition as well. Excellent work- a real treat. Neat treatment of this special find. 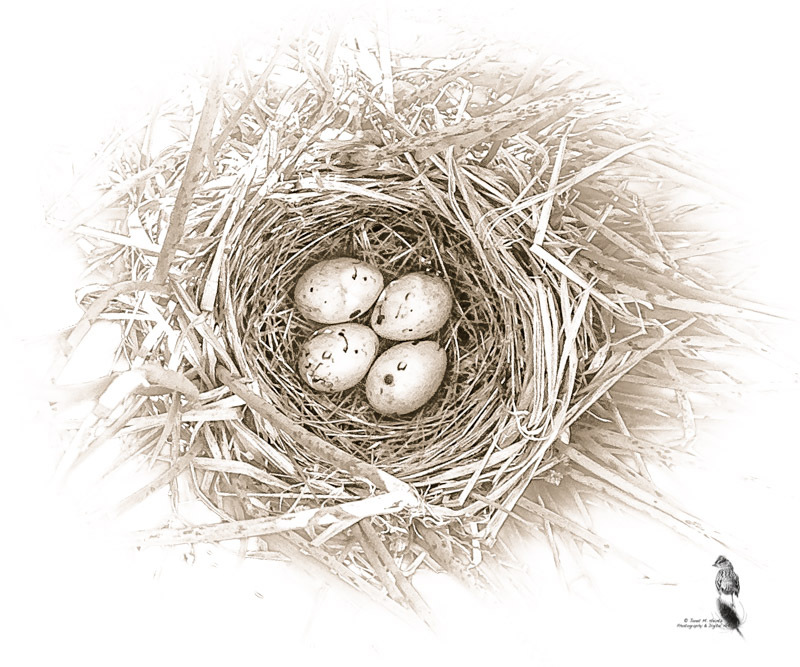 The monotone conversion and vignette work well to draw the eye to the clutch of eggs in the centre!